A Halifax-based archaeologist is researching the trading relationship between the Mi’kmaq and the French in the 1600s by digging up artifacts at Fort St. Louis National Historic Site in Port La Tour, N.S. 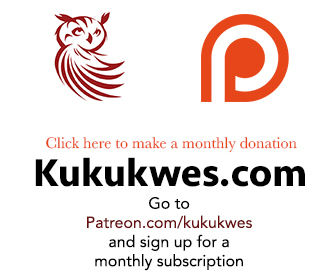 Katie Cottreau-Robins, an archaeology curator with the Nova Scotia Museum of Natural History in Halifax has conducted several archeological digs at Fort St. Louis since 2010 looking for remnants of the early French fur trade in the 1620s. “We have some pre-contact artifacts from the area. We know there was clam-harvesting happening here,” Cottreau-Robins explained. “In some of our units, we’re finding flakes of lithic material that we understand the Mi’kmaq used to make tools,” she said. 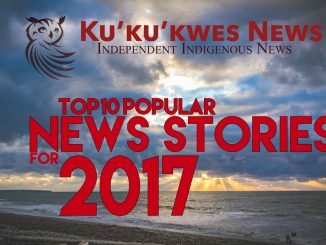 “So we recognize this place as a Mi’kmaw landscape where the French came for a short period of time and did trading activity,” she added. Cottreau-Robins said she decided to undertake a long-term research project of Fort St. Louis in 2010 when a landowner contacted the museum to examine his land before he chose a site in which to build his retirement home. “So we came down and we did a bunch of testing and everywhere we put a shovel in the ground, we found artifacts,” she said. “Through research, looking at what other specialists had done in the area and talking to local people, I got really interested in the story of Fort St. Louis,” she added. Charles de Saint-Étienne de la Tour was 17 when arrived in Port Royal in 1610 with his father as part of an expedition led by Jean Biencourt de Poutrincourt. In 1613, Port Royal was attacked by Virginia colonists. Biencourt left his son, Charles Biencourt, in charge while he returned to France with a group of surviving colonists. La Tour remained behind as well. For the next ten years, La Tour, Biencourt and the remaining French colonists lived with the Mi’kmaq in order to survive. La Tour married a Mi’kmaw woman and started a family. When Biencourt died in 1623, La Tour relocated the group from Port Royal to an area now known as Fort St. Louis to continue trading with Mi’kmaw people. Cottreau-Robins said her team has uncovered evidence of trading and of daily life in the area around the 1620s. 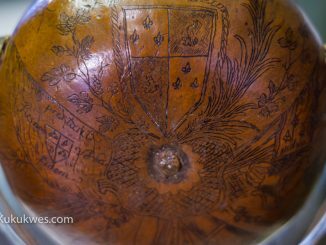 Among the items she has found so far include pieces of dishes, smoking pipes, gun flints, spikes and delicate French glass. 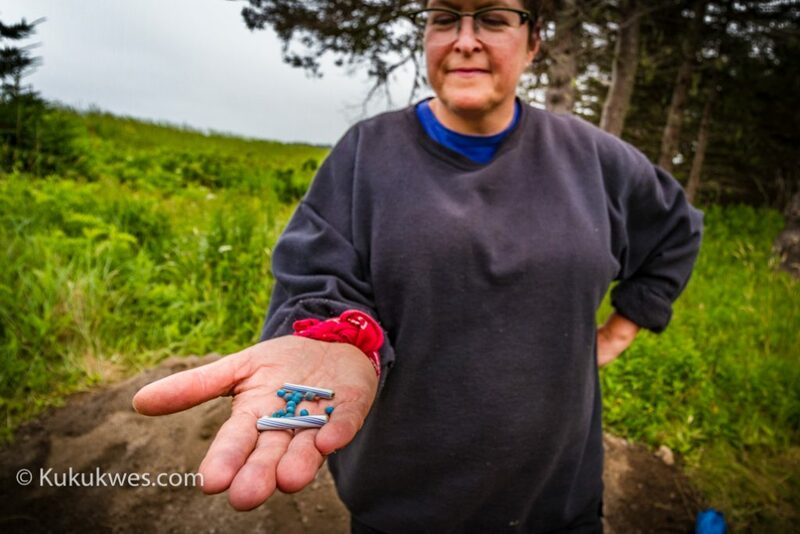 During the latest dig at Fort St. Louis in July, Cottreau-Robins said her team found several French trade beads, a discovery she considers to be most significant to date. 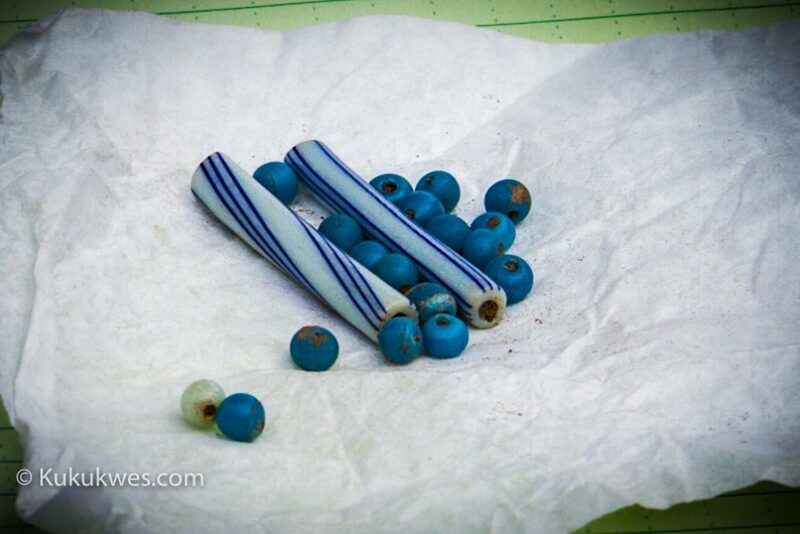 The glass beads uncovered include blue and white round beads as well as two types of tubular beads. “It’s tremendously exciting. I think it’s very important artifact,” Cottreau-Robins explained. 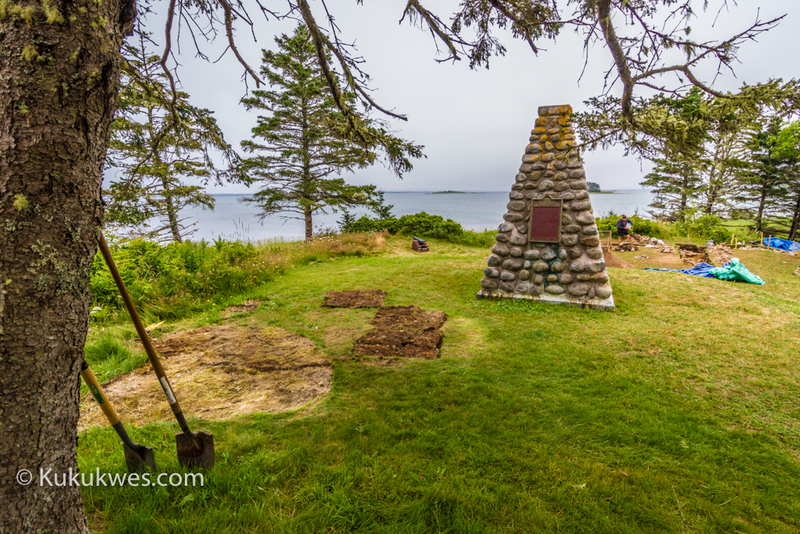 “(It) speaks directly to the interaction between the M’kmaq and the French that were here at this site,” she said. “When I see these beads … I visualize Mi’kmaq trading furs for beads,” she added. 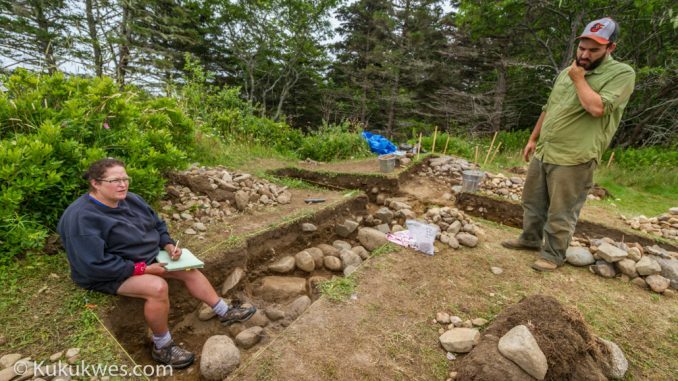 John Andrew Campbell, who is earning his PhD in archaeology at Memorial University in St. John’s, N.L., joined Cottreau-Robins at Fort St. Louis in July to assist with the archeological dig. Campbell, 28, is currently writing his PhD dissertation about the time period between 1500-1630 in the region. “We’ve been finding a lot of copper scraps and that’s indicative of cutting and repurposing them for, let’s say, weaponry like projectile points and also for beading,” the Rhode Island resident said. Campbell said they also found a small piece of slate with incisions that may have been a portion of an artwork piece. “The problem is we don’t have the full piece. It’s only a section but it very much looks like the petroglyphs at (Kejimkujik National Historic Site), similar in that kind of style,” Campbell said. Cottreau-Robins said she now plans to take the beads and the other artifacts back to the museum where they will be photographed, catalogued and place in a climate-controlled storage area. After that, they will become available for loan or for anyone who wants to see them. “For me, as a curator, there’s no point in collecting artifacts if they’re just going to sit on a shelf, in a drawer, in a storage area,” Cottreau-Robins said. “They have to be shared. People have to see them. They have to be able to touch them. They have to be able to learn from them,” she said.